Louise lives in the constituency in Oundle. 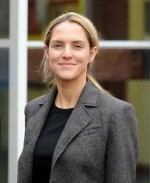 In June 2010 she was elected by other Conservative MPs to serve on the Select Committee for the Department of Culture, Media and Sport. In July 2011 she took part in the questioning of James and Rupert Murdoch over the News of the World phone hacking scandal. Louise went to Oxford University in 1989 and graduated with a degree in Anglo Saxon and Norse. After graduation she worked as press officer with EMI records and then as a marketing official with Sony Music. At aged 22 Louise’s passion for writing was realised. To date, Louise has written twelve novels and sold over two million books worldwide. She is involved with charities which support the homeless, as well as child welfare and victims of HIV and AIDS.